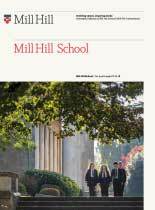 On Monday evening, the school Orchestra, joined by staff, friends, parents and Old Millhillians, gave a stunning concert in The Large. 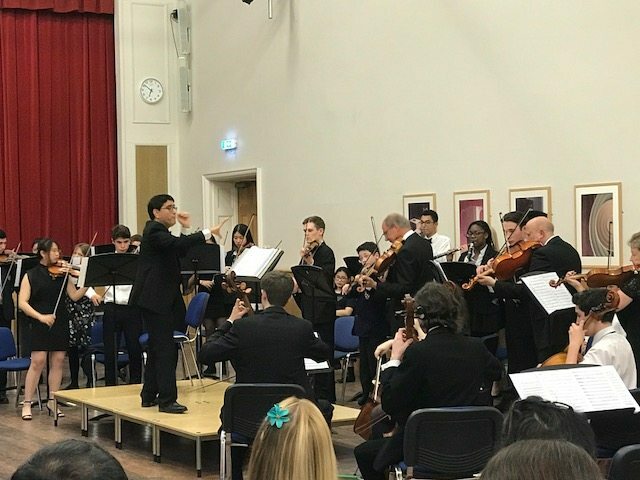 The orchestra, directed by Mr Chakravarty, presented an exciting, full programme of music by Beethoven, Mozart, Haydn, and Bach. 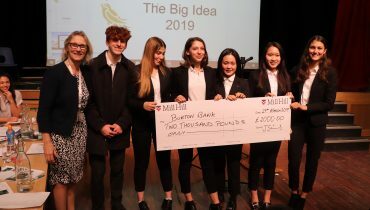 Originally set up in 2017 to allow Mill Hill musicians to perform a high profile, orchestrally accompanied solo, this year’s performance was Mill Hill’s second Concerto Concert and featured the winners of both the 2017 and 2018 Instrumental Music Competitions. It was also a delight that the performers from last year’s Concerto Concert gave up their time to come and support the orchestra again this year, and be part of the experience. Ellen Baumring-Gledhill Murray was the first of two soloists of the evening, with an exquisite rendition of the first movement of Haydn’s Cello Concerto No. 1 in C, giving the audience a glimpse of her extraordinary gift and a breathtaking opening to the evening. After some ensemble orchestral pieces, Zany Denyer (McClure) ended the concert with the first movement from Beethoven’s Piano Concerto No. 3 in C minor. 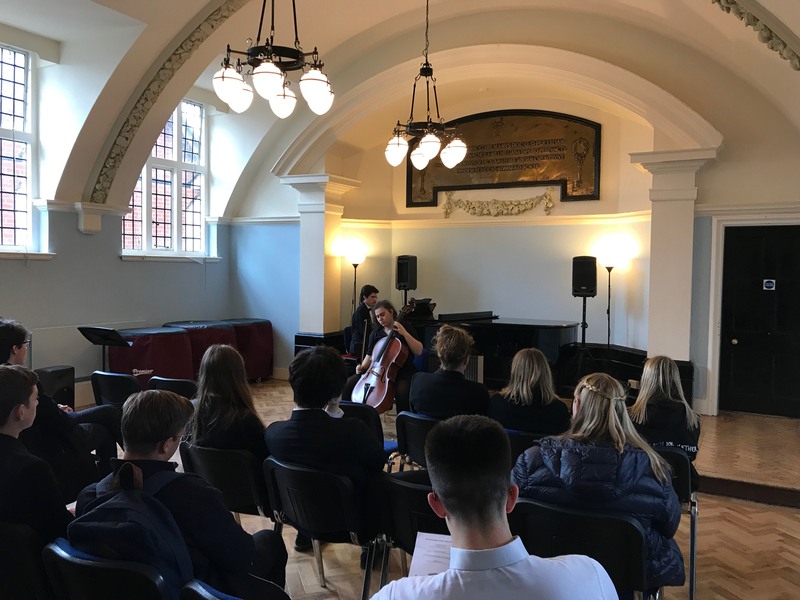 Zany gave a mesmerising performance, with both musical beauty and technical virtuosity at his command, in what will, sadly, be his final major solo before leaving Mill Hill. The Music School gives two informal Coffee Concerts each week on Tuesday and Thursday morning break in the Music School Recital Hall. 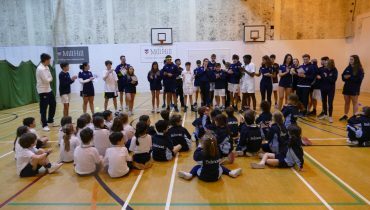 The concerts are an excellent opportunity for both pupils and staff to present all or part of a piece of music to further develop their ability to perform with the challenge of a live audience. 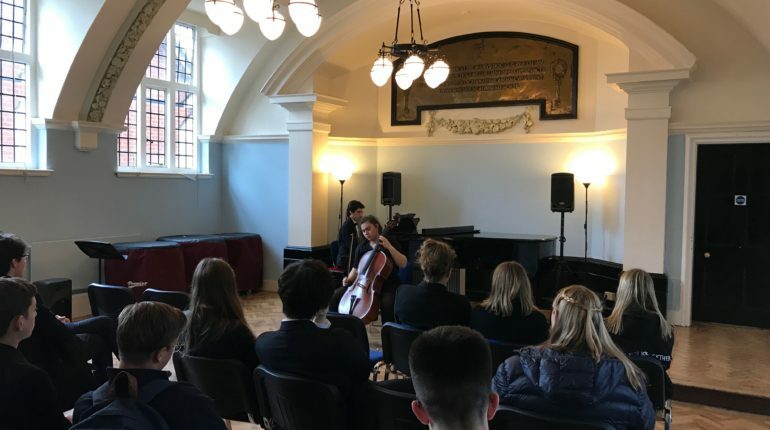 Performances this week were given by Pianist Rachel Chia (Cedars), Yasmin Adewusi (Weymouth), Hugo Forte (Atkinson), and Bertold Minksz (Burton Bank) and were warmly received by an audience of mostly Fourth Form pupils. Omré Urmani (McClure) was, as always, an outstanding host.